Have you entered the Bonita Bellita giveaway yet? If not, go here or scroll down to enter! For this week's layout, I had fun playing around with shapes! One great thing about digital scrapbooking is you can resize and crop your photos into any shape without losing the parts of the picture you want to keep. Here's my kids trying to stay cool in our Arizona summer heat. Obviously I used a white background, then the Shabby Princess "Celebrate" package for the paper circles. The ribbons are from various different designers. 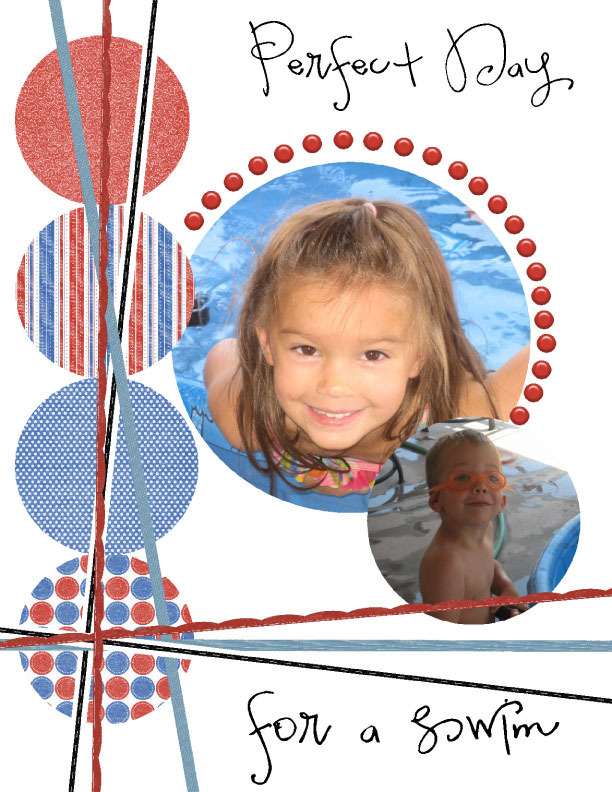 I got the layout idea from Scrapbooks Gone Digital! I'd love to hear how you've used different shapes in your layouts. Do you do your layouts in photoshop? I don't have it, I wonder what else I could use.